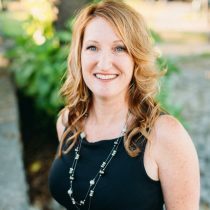 An 18-year resident of Hawaii Island, Lisa Barry works hard to build her clients’ Real Estate Portfolio through her extensive knowledge of current market conditions, straight-talk approach, and finding the right property fit to accomplish any real estate goal. My clients can always count on me to tell it like it is. I always look forward to earning new business and building my clients’ Real Estate portfolio, one Big Island purchase at a time. Born and raised in Puyallup, Washington, Lisa had vacationed on the Big Island for many years and always imagined building a life here. She credits her mother for instilling her with an incredible work ethic that includes a devotion to the clients she serves. She met her husband Robert in 2003, and her life and career could now be complete. Keeping in touch with my clients near and far has been the foundation of my success. Social media has been a significant part of that success over the years. I feel extremely blessed to have loyal clients and great referrals. I am truly honored to help my clients fulfill their Real Estate goals and dreams in Hawaii.